Far Cry New Dawn Creative Director Says a Story Sequel "Was Not Always the Plan"
Editor’s note: Spoilers to Far Cry 5 follow — you have been warned! Speaking with DualShockers, this was one of the points that we found most intriguing. 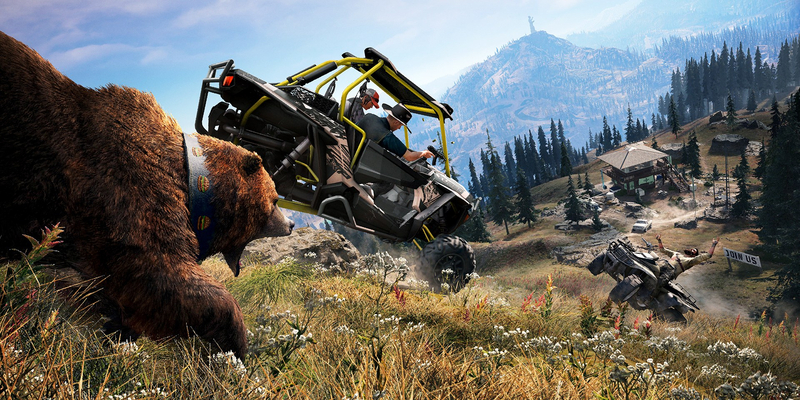 Far Cry 5 — more than many other games in the series that came before it — left the game in a disconcerting way. 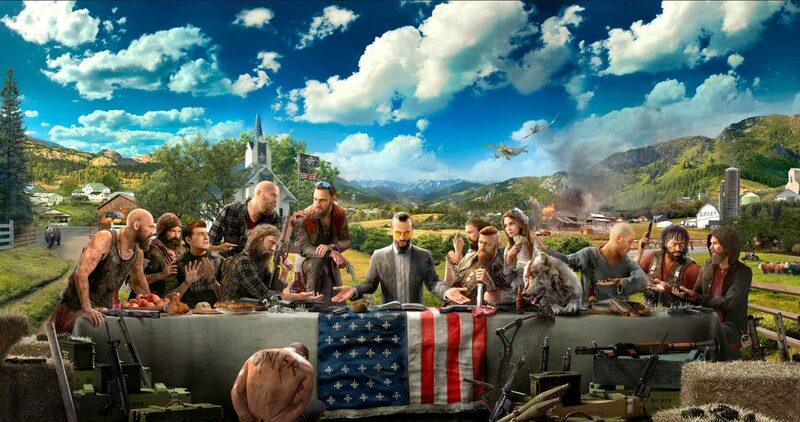 The game’s cultish antagonist Joseph Seed (better known as The Father) managed to successfully predict doomsday, as nuclear blasts fell onto Hope County. Your protagonist Deputy character became a witness, watching many of his friends and companions get lost in the blasts — only to ultimately become a prisoner of Seed in a bunker. The ending was somber and mysterious–only a select few who were able to piece together brief radio broadcasts would have been able to see that the game was heading in this direction. Some critics and players believed the end therefore felt unrewarding, an out-of-left-field conclusion to raise questions and stir controversy. Others predicted this was ultimately a set-up. Far Cry has been known to produce mid-numbered releases, and this was perhaps a way to lead into a sequel. At first, the latter speculators seemed to win that prediction. 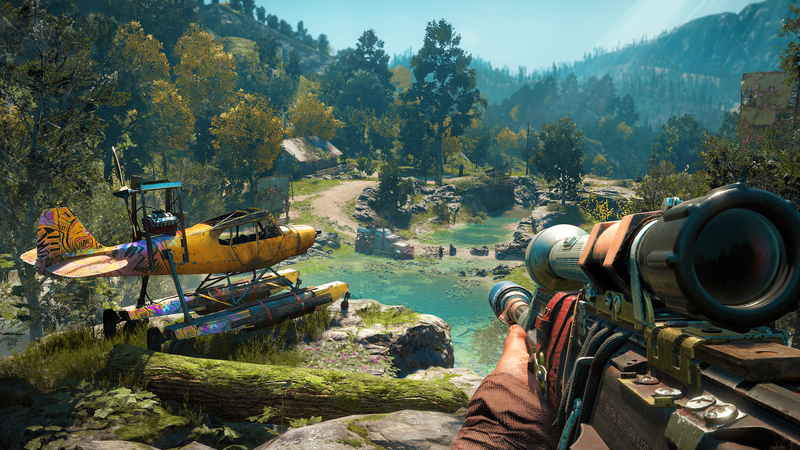 Following a leak of Project Bowmore, the game was revealed during The Game Awards 2018 firmly showcasing that Far Cry New Dawn would carry on the story from Far Cry 5. However, when we pulled Decante aside he assured us it wasn’t always the case. Decante, who has been with the series since Far Cry 3, noted that he was involved with the story and the design of Far Cry 5. So while it appears that the move to continue the story of Far Cry 5 was not planned in advance, the same can’t be said about other recurring features — including having a “blank page” protagonist. Decante told DualShockers that he likes “the idea in Far Cry to have a character that is like a blank page” where the player is able to “project whatever they want.” Decante mentioned that one of his personal pet-peeves in gaming is when there is a disconnect between what he is feeling and what the character is doing or saying. More important to him and his development process is to create strong characters around the protagonist. Obviously, this hasn’t been the norm for the Far Cry series until the last title — the ever-lauded Far Cry 3 had gamers take on the role of Jason Brody and Far Cry 4 had Ajay Ghale. I discussed in my review how the absence of that made some of the narrative choices feel hollow, as if I am a voice-less backseat passenger. It will be interesting to see if that direction sticks moving forward, or if the eventual Far Cry 6 reverts back to a more directed character to combat the series’ epic protagonists. It’s fascinating to see a backseat glimpse into the development of large-scale projects like this, and even that executives within Ubisoft aren’t always certain of what is ahead of them. Regardless, any fan of the Far Cry 5 story arc is truly missing out if they don’t follow the conclusion–even if it is far from perfect. Far Cry New Dawn is available now on PC, PS4, and Xbox One. 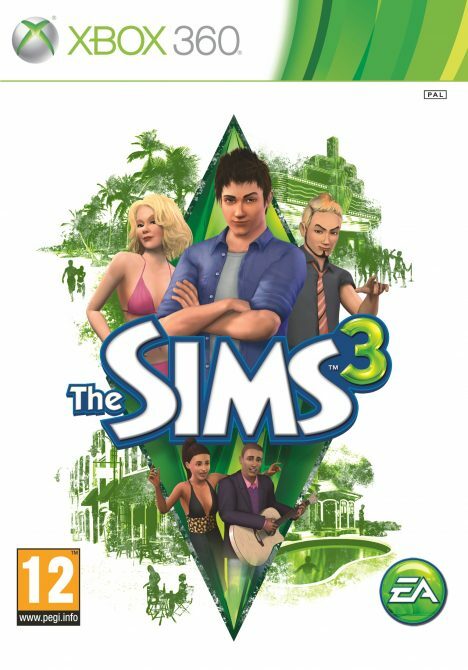 Feel free to pick up the game (if you haven’t already) via Amazon. 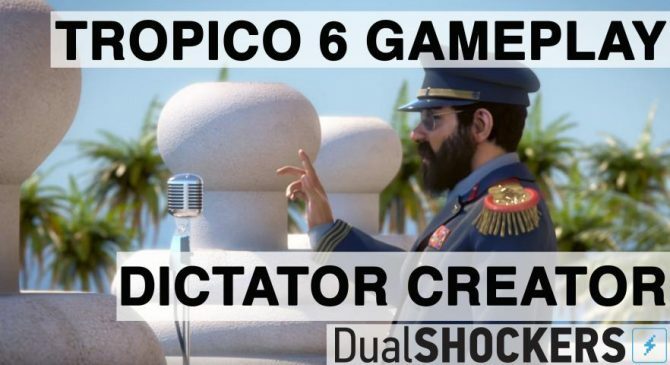 Limbic Entertainment's Tropico 6 starts off with a character creator, making sure that your dictator's appearance and palace is how you imagined.